Property 8: WONDERFUL CENTRAL CAMBRIDGE 2/3 BED HOUSE WITH BIKES FROM £99 p.n. 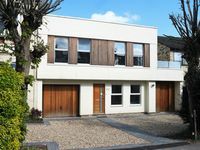 Property 14: Luxury Self Catering 3 bedroom holiday house in Cambridge. Property 19: Newly Decorated and Spacious 3 bed Property in Cambridge! Property 30: 6 Bed House near the hospital and Cambridge City!